Over the weekend, I traveled to Atlantic City to see Toni Braxton at the Borgata Event Center. It’s been a long time since I’ve been to an actual concert. I also hadn’t been to Atlantic City or the Borgata Hotel Casino & Spa in more than a decade. In a former life I reviewed concerts and nightclub performances, so it was fun to sit in the audience without a notepad and a penlight, and just enjoy the show. LeLee, Taj & Coko of SWV. I was surprised how entertained I was by opening act SWV. 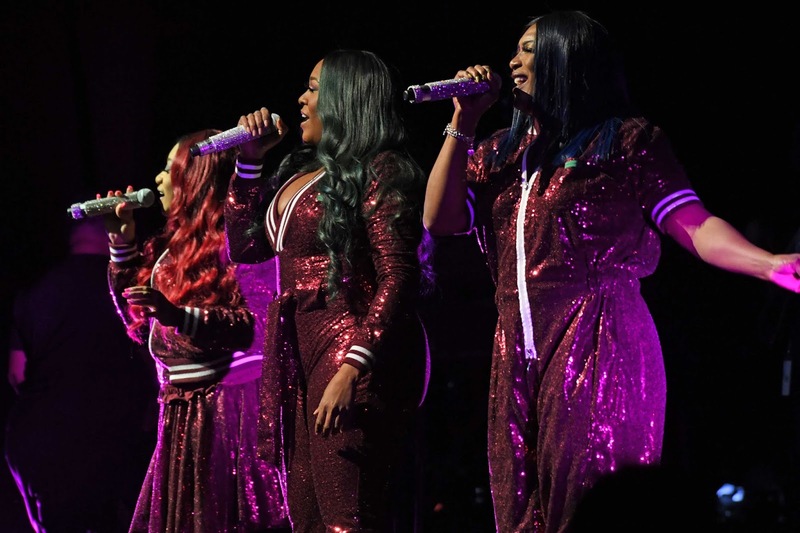 To tell you the truth, I didn’t know what to expect after seeing the SWV Reunited reality show that aired back in 2014. That show didn't put them in the best light. I’ve always been impressed with Coko’s chops, but Taj was on fire that night. LeLee was playing the role of emcee and doing a great job. The trio was working it like their lives depended on it. It was also amusing to hear people in the audience making comments like: “I didn’t know that was their song!” “Oh, I know that song. I love that song.” "I remember that song. I never knew who sang it." Yep. They had a lot of jams. Remember “Weak” and “Right Here”? Did Toni Really Break Down? Toni’s repertoire is mostly ballads, so you don’t expect to be dancing in the aisles. (Although that didn't stop her fans from standing up and blocking my view. Sigh.) Her show involves a lot of audience interaction and participation. At one point she invited a 16-year-old onstage who was celebrating her birthday, and a couple of audience members to sing a few lyrics from a song. (The man was a fail, the woman was actually very good.) Later on in the show, Toni “broke down” during “Un-Break My Heart,” a song she apparently now dedicates to her late aunt. I have no doubt that she gets emotional thinking about her when she performs her aunt’s favorite TB song, but she really milked it. It was sort of like her Please Please Please (James Brown) moment. Her fans loved it. 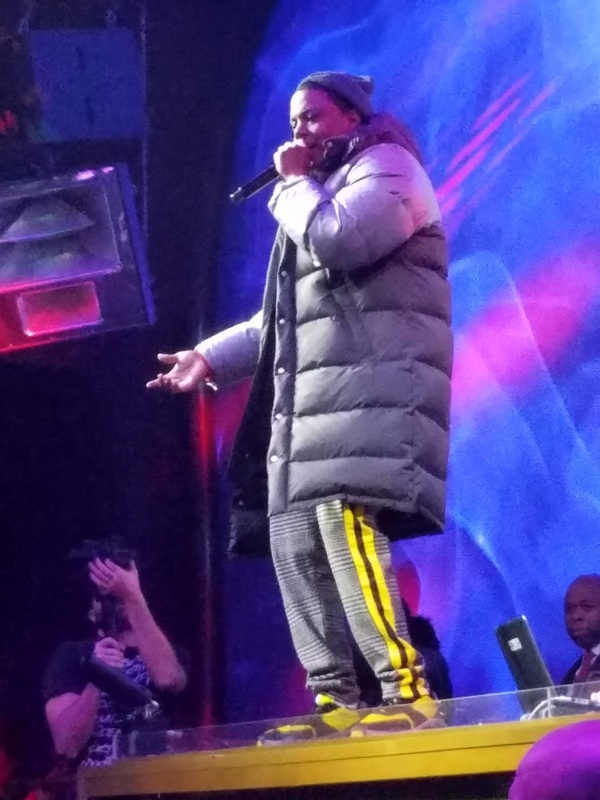 Mase performs at the Premier Nightclub at the Borgata. Later on we stopped by the Premier Nightclub where Mase was going to perform. He took forever to come on and only did three songs at that. The DJ had to coax him back on for the third one. Mase said he couldn’t remember the words. Now, I don’t know if he was just not prepared to do it or actually didn’t remember the words, but I’m not gonna say nuthin’ about someone forgetting anything! Or course the crowd could have done the song for him, because they knew every single word to the hits he did. I also enjoyed the Gypsy Bar, a rock n’ roll tequila bar with live music. On Saturday night the music was by Flip Like Wilson, a cover band that has an eclectic list of songs and had me dancing in the VIP section. (Either that or I was very drunk.) Kidding folks. They were good. If you’re interested in upcoming shows at the Borgata Event Center or Gypsy Bar, or other things to do at the Borgata, visit the website Borgata Hotel Casino & Spa.